Fisher-Price 4-In-1 Step 'N Play Piano Just $71.10! Down From $130! PLUS FREE Shipping! You are here: Home / Great Deals / Amazon Deals / Fisher-Price 4-In-1 Step ‘N Play Piano Just $71.10! Down From $130! PLUS FREE Shipping! 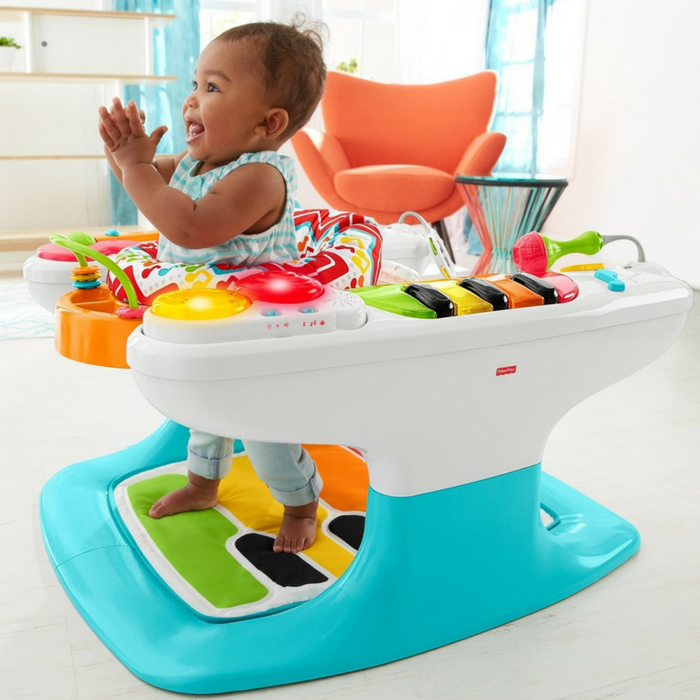 Fisher-Price 4-In-1 Step ‘N Play Piano Just $71.10! Down From $130! PLUS FREE Shipping! Head over to Amazon to score this Fisher-Price 4-In-1 Step ‘N Play Piano for just $71.10 down from $129.99 PLUS FREE shipping! The entertainer – built for physical, musical, all-around fun! Every press of the piano keys (hand keyboard & feet keyboard) gives developing coordination and gross motor skills a boost. And playing with more than 12 toys and activities all around, fingers crossed, will hopefully lead to a nap later on! Hand keyboard encourages fine motor skills ; Developmental Guidelines:Use only with a child who is able to hold head up unassisted and who is not able to climb out or walk.